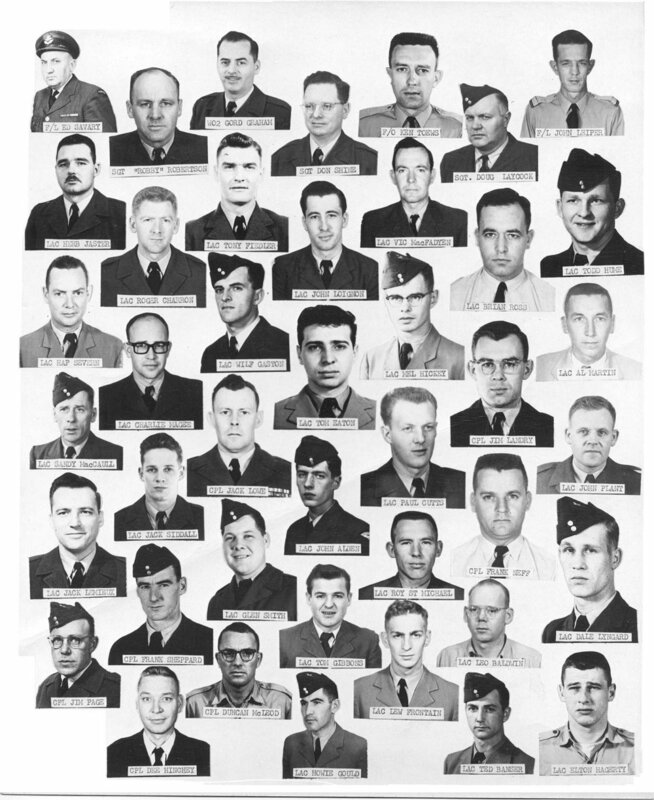 Wing Armament section personnel - January 1963. 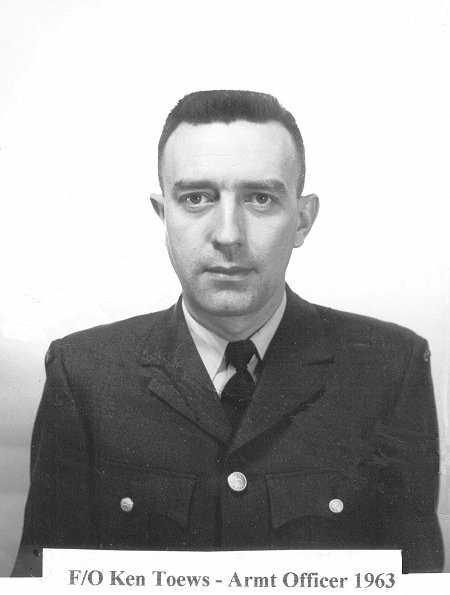 F/O Ken Toews, Armament Officer - January 1963. 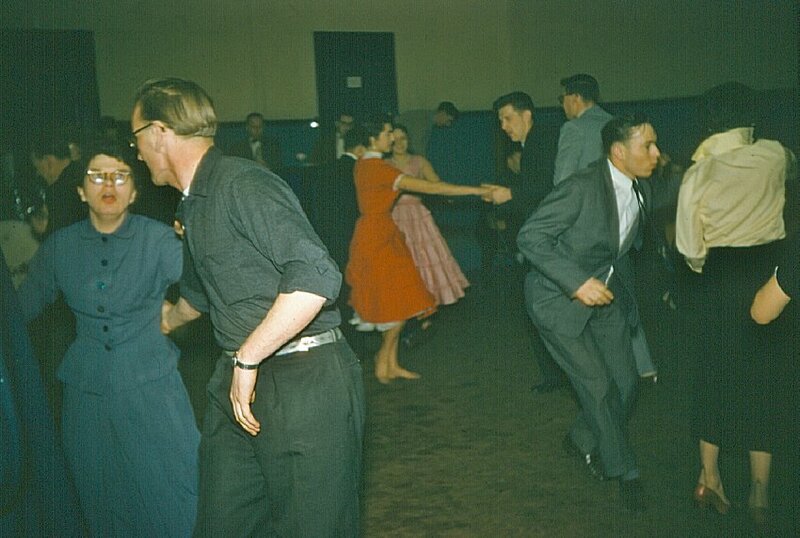 Wing Armament Christmas party held in the Social Room of the Wing Theatre - December 1956. (L-R) - "Granny" Pierce, "Sonny" Erickson, Ruby Jackson (red dress), Glenn Goodman, Moe Ewing, unknown. 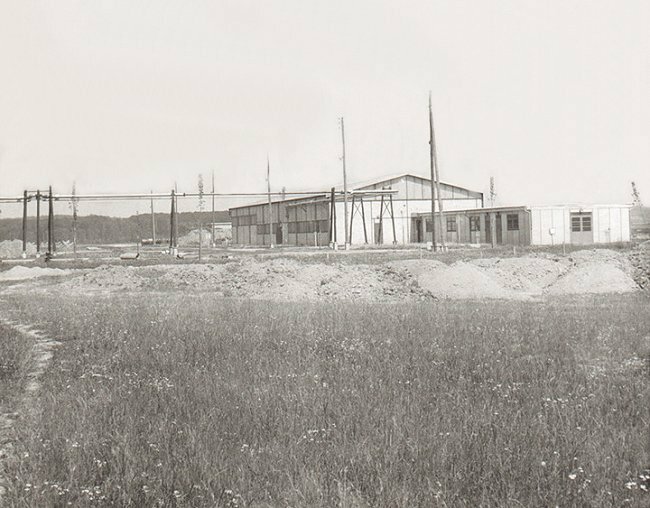 Front entrance to the Wing Armament building - May 1956. 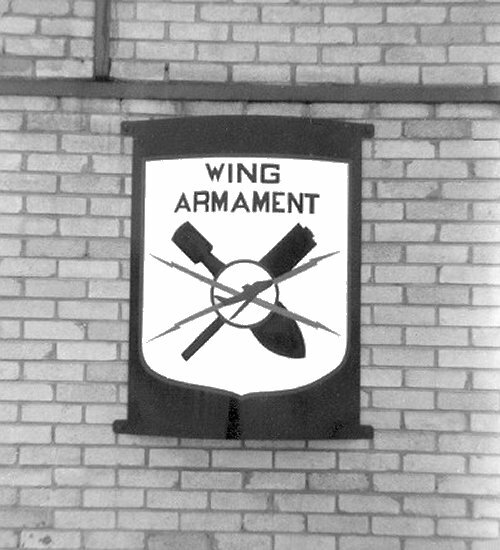 The sign on the Wing Armament building - May 1956. 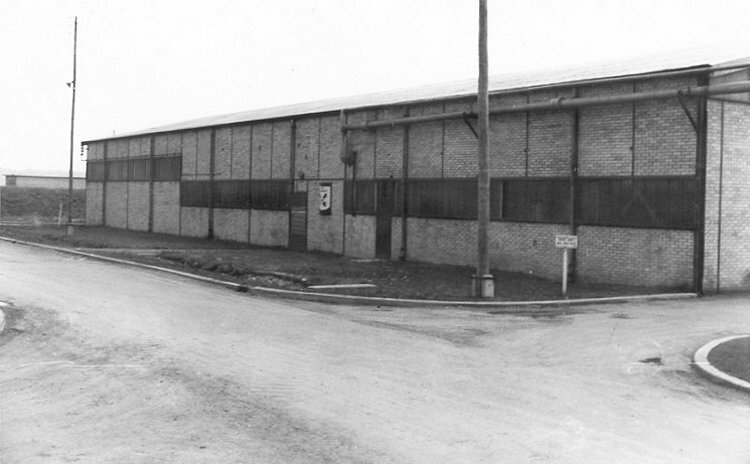 Wing Armament Section as seen from Cpl Bill Hay's barracks - October 1954. 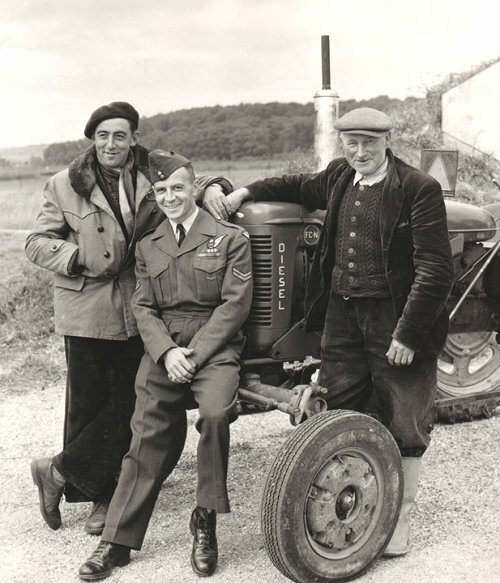 Cpl Bill Hay and two unidentified local "grass cutters" - October 1954. View from the back door of the Armament Section - October 1954. 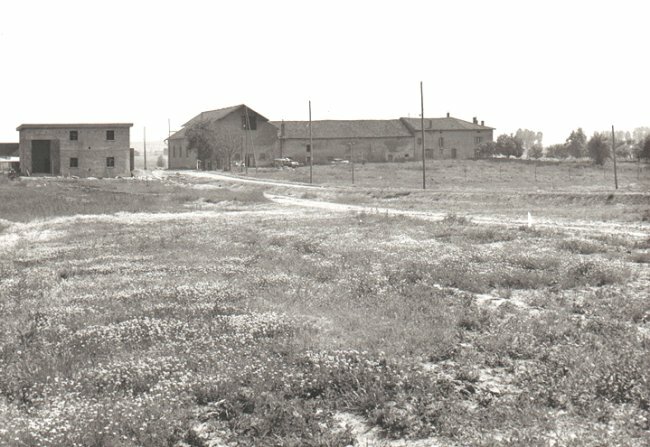 This old barn and farmhouse were on the station property and were used as a storehouse. 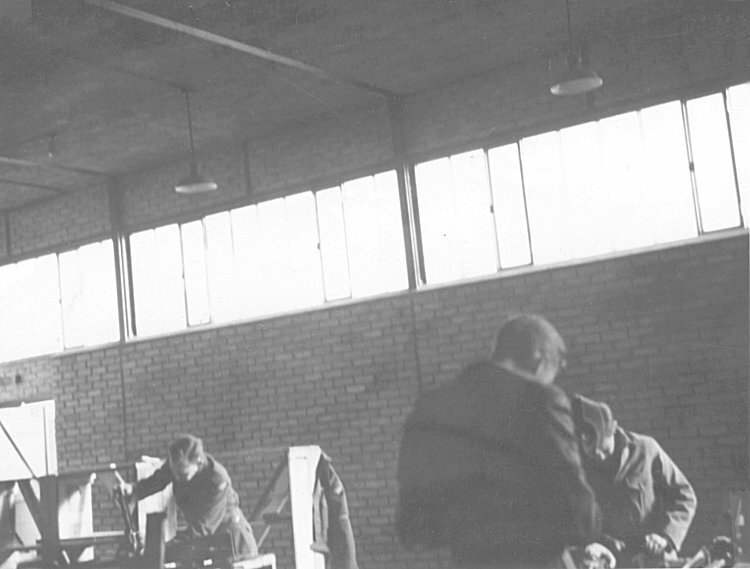 Hard at work in the Armament section - April 1953.